In virtually every grocery and discount store you’ll find rows of bottled water. Numerous brands, including store brands, fill shelves and coolers. Water has become big business. Most of us are aware of the dangers of tap water, especially from fluoride, chlorine and other chemicals. Well water can be contaminated with bacteria and other organisms. So we buy bottled water, believing it is healthier for us than the water coming from our tap, whatever its source. And it usually tastes better too. 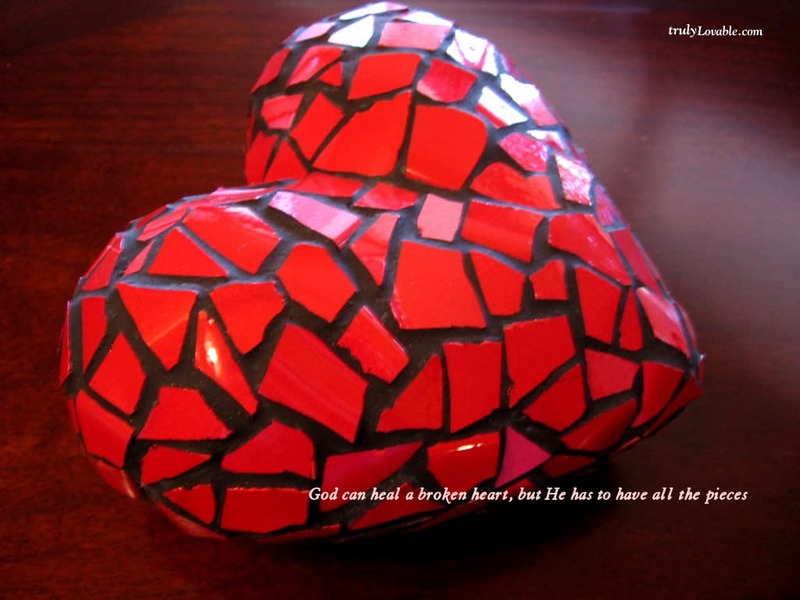 But is it really healthier? We see commercials of mountain streams and springs gushing from a wooded hillside and the images stay with us to such an extent that most of us probably have similar visions in our minds when we’re buying drinking water. But much of the water that’s sold as bottled is produced by the same major food companies responsible for the chemical-laden, processed food that fills the stores. 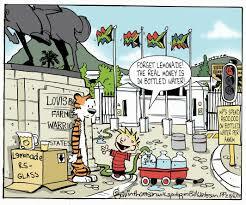 And most of that water actually comes from municipal sources. In other words, it’s basically tap water, sometimes distilled or treated by reverse osmosis, but mostly just filtered. So unless you’re purchasing water for better taste or for convenience, you’re wasting your money. And the plastic containers they come in have issues of their own with pcbs and off-gassing. 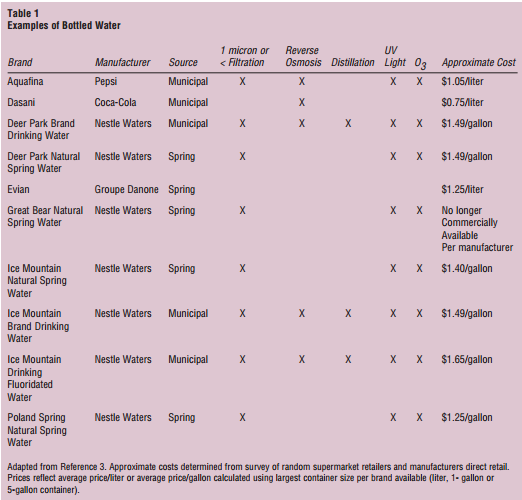 Below is a chart of the major brands that lists their sources and what type of treatment each brand receives to ‘purify’ it, along with an approximate cost. The full article discusses the plastic containers that hold the water and other often-used containers like sports bottles. It’s not just food you have to worry about or that can adversely affect your health. 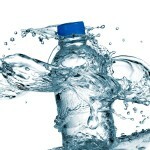 Bottled Water Myths: Separating Fact from Fiction This is a very thorough report on bottled water from “Practical Gastroenterology” a medical journal. 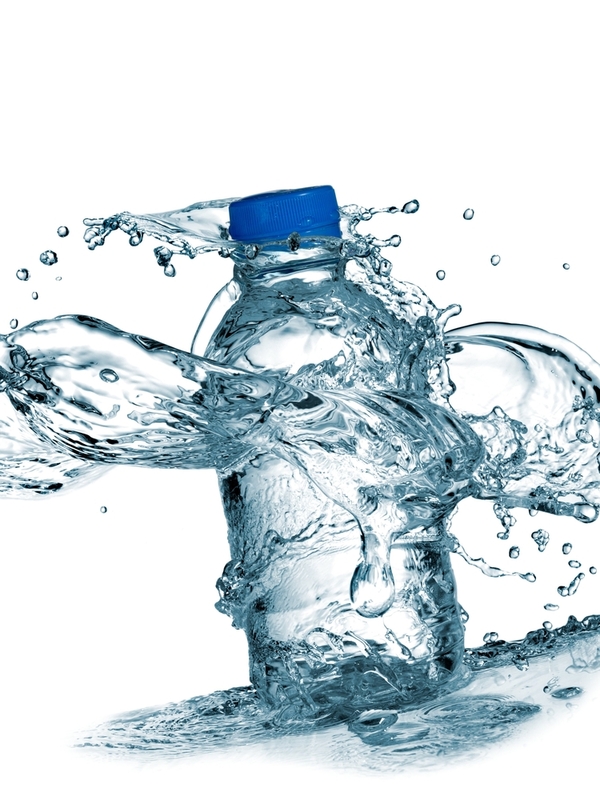 “Bottled water consumption in the United States is continuing to grow annually, and it is now the second most popular commercial beverage choice of consumers according to the Beverage Marketing Corporation. And no wonder—it is conveniently packaged, portable, refreshing, and perceived by many consumers to be safer than tap water. 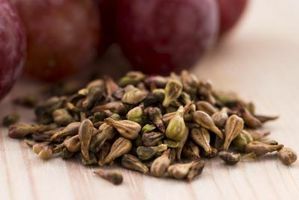 “[A] new study…demonstrates for the first time that grape seed extract is a wonder supplement in the fight against cancer, aiding chemotherapy’s effectiveness in killing colorectal cancer cells. 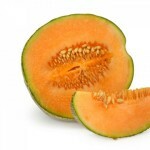 What’s more, it also reduces chemotherapy’s painful side effects. 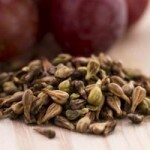 “Grape seed extract is showing great potential as an anti-inflammatory treatment for a range of bowel diseases and now as a possible anti-cancer treatment.” Additionally, the researchers found no side effects on healthy intestinal tissue from the use of grape seed extract in high concentrations. Yogurt a Day Keeps Diabetes Away New research indicates that one serving of yogurt each day may lower the risk of developing type 2 diabetes. When they looked at total dairy intake, they saw no effect on the risk of diabetes. 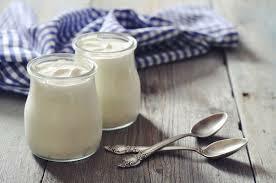 However, when they zeroed in on yogurt, they found one serving a day was linked with about a 17 percent reduced risk. Hu said they did not differentiate between types of yogurt, whether it was Greek-style yogurt or not, and the fat content. “A new study looked at whether America’s thirst for soda speeds up how the body’s cells age. “For years, many experts thought that using hand air dryers found in public toilets was more sanitary than using paper towels. But they actually spread germs, according to new research…. 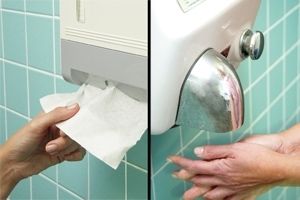 The researchers found that germ counts around high-powered “jet-air” and ordinary warm-air hand dryers were 27 times higher in comparison with the air around paper towel dispensers. Air hand dryers scatter germs much like an aerosol can disperses its contents when sprayed, and the study found that both jet and warm air hand dryers spread bacteria into the air and onto users and those nearby. The experts collected air samples around the hand dryers and also at distances of one and two meters away. “Food allergy is characterized by hives, airway swelling, or difficulty breathing that is caused by eating particular foods. The most common food allergies are milk, eggs, peanuts or tree nuts. Researchers from Taiwan recently conducted a study to look at the role that vitamin D might play in the risk of developing food allergies during the first 4 years of life. Vitamin D levels were inversely associated with milk sensitization at age 2, meaning that lower levels were related to a higher risk of milk sensitization. 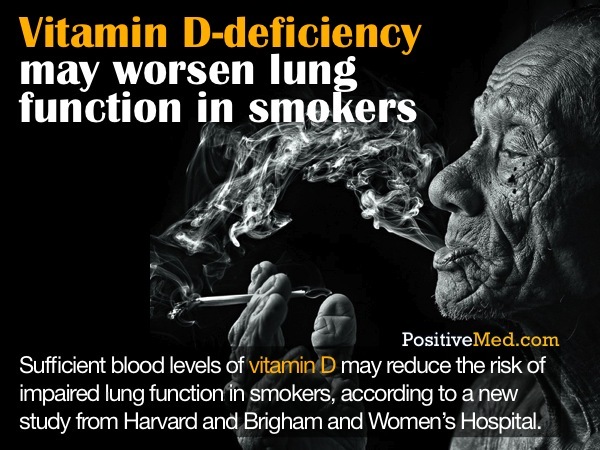 New study suggests independent link between smoking and vitamin D status In a recent study, “smokers had lower serum vitamin D concentrations than non-smokers,” results indicated. That suggests that smokers should take a greater amount of supplemental D.
“New research published in the journal Hormones found a significant relationship between vitamin D status and smoking habits. 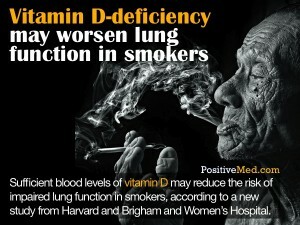 The researchers found that 50.3% of the participants were vitamin D deficient with vitamin D levels below 20 ng/ml. Only 8.8% of the participants were considered to be vitamin D sufficient with levels above 30 ng/ml. 5 must have antifungal herbs for every pantry This helpful article lists the top 5 antifungal herbs and gives information on each of them. 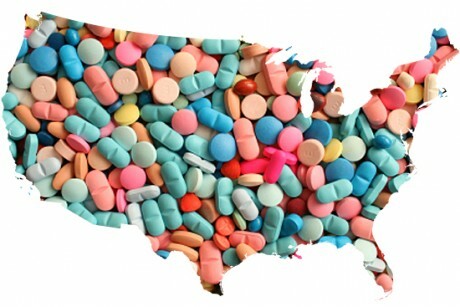 In spite of its being considered somewhat dated, herbs still continue to be used as “alternative” remedies for fungal infections of all sorts, and, unlike synthetic drugs which often cause allergic reactions or other unwanted side effects, herbs provide a safe, readily accessible, affordable and reliable way to treat fungal diseases. Here are the top five antifungal herbs that you should always have in your pantry or kitchen cupboard. “Have you ever looked closely at the label of an olive oil bottle? Strewn across the grocery store aisles, you’ll find bottles labeled with “first cold-pressed,” “extra-virgin,” or “product of Italy.” With so many labels, distinguishing the difference between these terms can be confusing. If you’ve ever wondered what these terms mean or how to choose a high quality olive oil, we’re here to clarify the confusion. Extra virgin olive oil is made using a process called “first cold-pressed.” In simpler terms, the word “first” refers to the olives being pressed on the first round of extraction. “Cold” refers to the olives being kept no higher than 81.9 °F, and “pressed” refers to the method of extraction. This method indicates that no heat or chemical additives were used to extract the oil from the olives, which can alter and destroy the flavors and aromas of the olive oil. Without adding heat to the processing, the olive oil also retains its full nutritional value. Virgin olive oil has a slightly more acidic level and does not meet the same requirements . Regular olive oil is a blend of slightly defective or low quality olives. For consumption, these olives are refined and tend to have a colorless and flavorless profile. 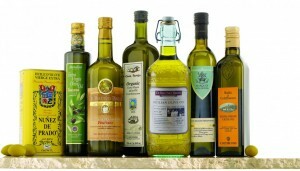 Light olive oil has undergone a similar process but is lighter in color and flavor, not calories! NATURAL REMEDIES FOR DOGS, CATS WITH SORE, IRRITATED PAWS, SKIN This article discusses paw treatments for both dogs and cats. With winter coming on and salt used so frequently to melt ice, it’s important to make sure their paws aren’t affected. And yeast can be a problem at any time, as it often results from excessive moisture. Below are 3 foot soaks that will help your pet have healthy paws all year long. “If your dog’s or cat’s paws have come into contact with road salt, herbicides, fertilizers or pesticides it is very important to ensure that you remove the particulate and/or residue from these substances right away. 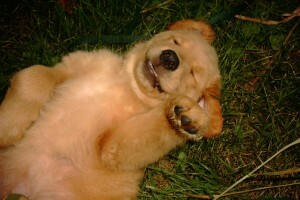 Even if you cannot see anything on your dog’s paws – if he/she [h]as walked on or brushed against surfaces or plants that are treated with these substances, a residue will be present… The toxic chemicals found in these substances can make their way into your dog’s and cat’s blood stream by passing through your dog’s or cat’s skin or when he/she licks his/her paws, fur or skin. The most affective [sp] way to remove toxins (road salt, herbicides, fertilizers or pesticides) from your dog’s and cat’s paws is to provide your dog or cat with a 30 second foot soak. Depending on the size of your dog, you can do a foot soak in the bowl or basin, sink, bathtub, shower or in a small children’s pool.